I’m not going to mess with any merchandise until they clean out the shops selling stuff nobody wants like purses and perfume and replace it with the cruise and band merchandise. I’ve never seen a process work so hard to NOT take my money as the merchandise sales process. Running out of chances for some DOOM. The Well would be perfect. Are you ready to board the “s”ailing “v”essel? Get SAINT VITUS on broad! Van Canto? I sure hope Orange Goblin or Saint Vitus were unavailable. “S”aint Vitus. We need some doom. Bodyfarm is billed as death metal but it sounds more like thrash metal. They’re on my list this cruise. Hopefully the next band is me! I mean Bolt Thrower. Orange Goblin would start to correct the total lack of doom last year and so far this year. Maybe “D” is Dethclok. Not Brendon Small, but the real Dethclok up on the screen. Soon? I’ve never heard of that band. At this point anything short of Dio, Dimebag, Randy Rhodes, Cliff Button, and Lemmy is going to be disappointing. I just bought a new car too. I’m now something less than 100% likely to go. Not sure how less. For last year’s lineup, I probably wouldn’t now. Patriots losing is always epic. Also, the broken femur in the Destruction pit. More doom and more thrash. 8:00PM Thurssday through 8:00AM Monday: EXODUS on all 4 stages. I was hoping for Slayer but will definitely take EXODUS!!! Kataklysm! This makes 3 bands I have a CD from. This is a very obscure lineup. I think I’ll like it though. I’d rather have a taco than Psychostick onbroad. How about Slayer kicking off their final world tour on this cruise. And drag along Testament, Anthrax, Lamb Of God and Behemoth. 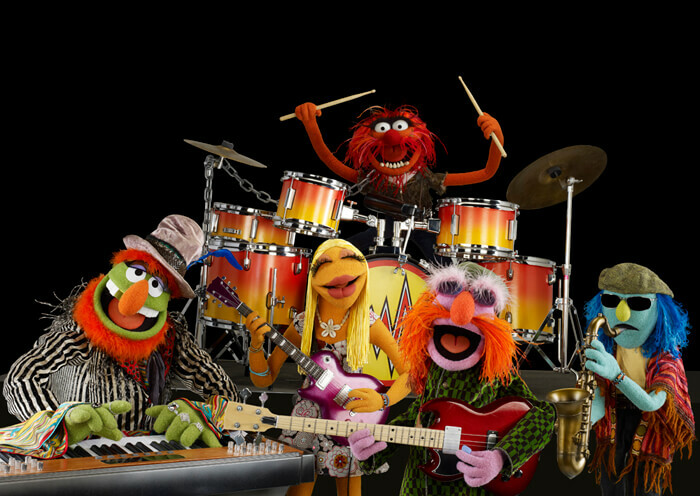 DR. TEETH and THE ELECTRIC MAYHEM!!! Ok. But my boat is half-finished. Nothing since November 16? I could have built my own boat AND learned to play guitar in that amount of time! What gives?! Sirenia? At least it’s not Taylor Swift. Barely. Hoping for Shrinebuilder. Did I mention the lack of psychedelic doom? I see a break in their tour dates from Dec 15 to Mar 18. What bands can be ruled out? Apparently all of them except for the 21. Reveille at 5:00am followed by calisthenics at 5:15. Freeze the lineup at the current 21 bands so we can stop anticipating. Instead of selling band-specific shirts, sell white shirts and magic markers. Everyone can draw their own. Maybe have a contest for the best shirt. Belly Flop Into The Ocean contest. They could add a band once in a while. It's been 2 weeks now. They could sail to Minneapolis so we could go to the Super Bowl.